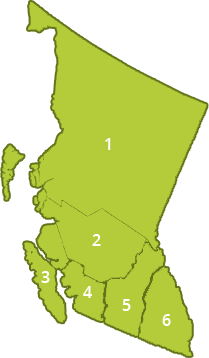 Provincial programs provide direction as to where the Province wants to go with Living Water Smart and the Green Communities Initiative. “While legislative reform is a foundation piece, collaboration takes place outside the legislative framework. At the end of the day, planners and engineers and other disciplines must come together to determine the issues and solutions. No statute will help them do that. Influencing behaviour and attitudes is at the heart of moving from awareness to action,” stated Lynn Kriwoken. “Implementation of ‘whole systems’ thinking would include incorporating the benefits provided by nature into the delivery of local government services,” stated Peter Law. “Community-based Environmental Stewardship has been an institution in BC for a generation. Today, community organizations partner with local governments to monitor and restore local watershed health. These groups provide thousands of volunteer hours to restore aquatic habitats,” stated Peter Law. “The Partnership for Water Sustainability brings together, and supports the efforts of, local and regional governments across BC. It’s overarching goal is to provide tools to help organizations achieve their water sustainability goals, and opportunities for shared learning. The IREI is an outstanding example of this shared learning approach, and is endorsed by 5 Regional Boards, representing 75% of the population in BC,” stated Randy Alexander. “The presentation by Kim Stephens gave further insight into how thinking has evolved regarding stormwater management in our region and elsewhere. His discussion of Voodoo Hydrology reinforced the importance of questioning everything, a habit I try to encourage in my students,” stated Laith Furatian. The term was coined by Andy Reese, an American engineer and writer, in 2006 to describe the mis-application of science.